It is the mark of a quality golf course that it gets selected so soon after its opening to host a high-calibre professional tour event. 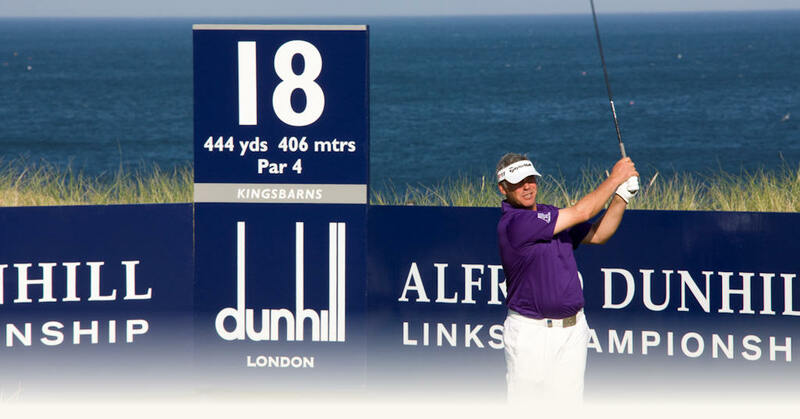 That is precisely what happened to Kingsbarns Golf Links when, in 2001, it was named as one of the co-hosts of the Alfred Dunhill Links Championship. Based on the AT&T Pebble Beach National Pro-Am, held annually on the PGA Tour since 1937, the Alfred Dunhill Links Championship launched in 2001 as a replacement for the Alfred Dunhill Cup. The event is one of the richest on the European Tour – its prize fund in 2016 was $5m – and sees every player in the field team up with an amateur partner… and, very often, a rather well-known one at that. Indeed, since the event’s launch, high-profile personalities from the worlds of sport and entertainment have taken part, including the likes of movie stars Samuel L Jackson, Hugh Grant, Jamie Dornan and Michael Douglas, and Olympic greats Sir Steve Redgrave and Michael Phelps. Football stars Sir Bobby Charlton, Gary Lineker and Ruud Gullit, and other sporting greats – like Nigel Mansell, Ian Botham, Michael Ballack and Boris Becker – have also participated down the years, as well as the majority of golf’s biggest names, too. The attraction for them all is quite obvious: the opportunity to play on three of golf’s most revered and illustrious courses – the Old Course at St Andrews, Carnoustie’s Championship Course, and Kingsbarns Golf Links. 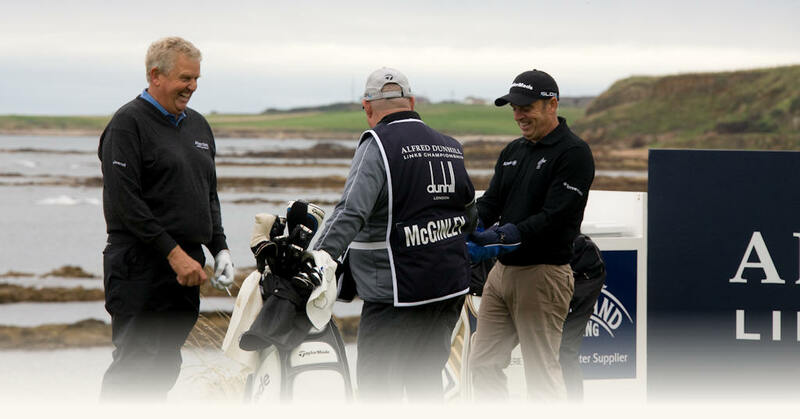 Each venue has played its own special part in the history of this fantastic pro-am but some of the most memorable moments have, unquestionably, taken place at Kingsbarns. For example, who can forget Peter Uihlein’s magical round of 60 there in 2013 en route to finishing second in the championship? Or, indeed, English pro Paul Waring’s hole-in-one at the par-4 sixth in 2014? Or Colin Montgomerie’s albatross at the third during the second round of the 2002 championship?Or the aforementioned Rory McIlroy taking a short break from his round to play with a black Labrador that ran onto the 18th tee during the Northern Irishman’s visit to the course in 2014? Then, of course, there was perhaps the most famous moment in the history of the championship when, just a matter of weeks after becoming the most decorated Olympian in history, American swimmer Michael Phelps holed an improbable 153-foot putt at the sixth. It took almost 20 seconds for the ball to find the hole after Phelps struck his putt and it is believed to be the longest putt ever caught by television cameras. The pros absolutely love the course. Two-time European Tour winner Robert Rock is even on record as saying it is his favourite layout in the world. “It would be great if Kingsbarns would host more tournaments like this as we don’t get to come back here enough,” remarked the Englishman after playing there in 2012. Meanwhile, Northern Ireland’s Graeme McDowell added: “Kingsbarns is one of the most beautiful courses in the world for sure. Having won the US Open at Pebble Beach this is probably something that compares to that kind of view and experience. 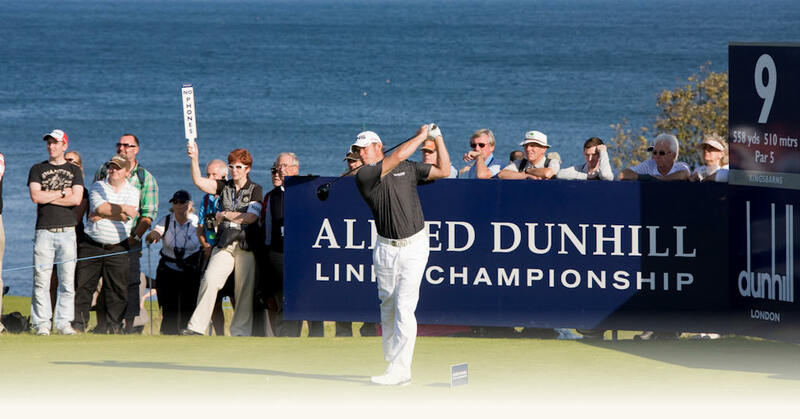 With praise like this, it’s not hard to see how Kingsbarns Golf Links has made the Alfred Dunhill Links Championship one of the European Tour’s most popular events. My foursome from the US played your magnificent course in late May of 2015. What a fabulous experience! The course was spectacular, the staff could not have been friendlier and accommodating, the practice range was perfect and the clubhouse and restaurant excellent in all respects. Every member of our group deemed it the best day of our trip, which included The Old Course, Carnoustie and Gleneagles!